This is a recipe developed by my mama. 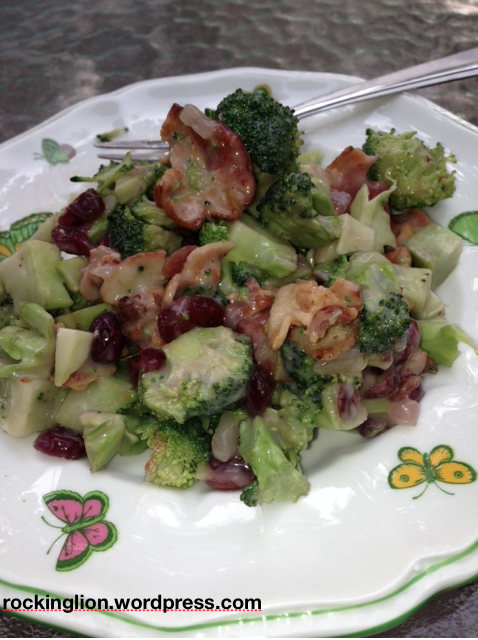 Perfect for summer dinner on the deck – and so easy! 1. In a very large bowl stir together Miracle Whip, sugar, and vinegar. 2. Place red onion and cranberries in a colander; pour boiling water over. Drain well. 3. 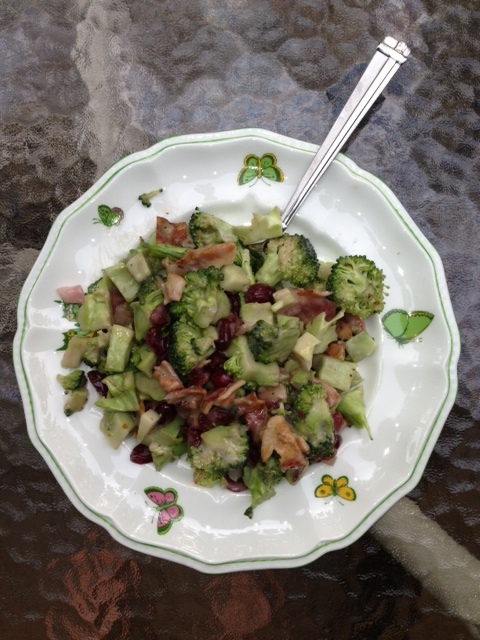 Combine dressing mixture, onion and cranberry mixture, and broccoli and bacon. Chill several hours and enjoy! If you’re curious as to why the boiling water in #2 – it softens the cranberries a bit, and takes some bite out of the onion. Who knew? !